Laurie Dippenaar is one of the founders of the FirstRand Group which is one of the eight largest companies on the JSE Securities Exchange. The Group employs just over 54 000 people, has total assets well in excess of R1 trillion and a market capitalisation of approximately R350 billion. 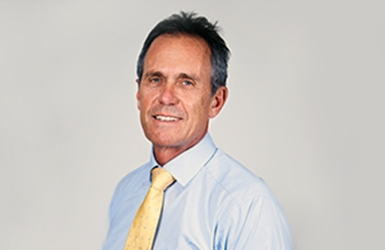 Laurie retired as Chairman of FirstRand on 31 March 2018 after a tenure of almost 10 years. 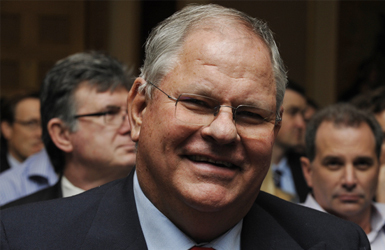 He will be devoting more time to the investments of the Dippenaar Family Office. 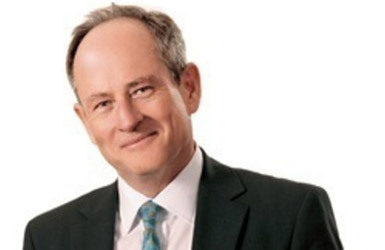 He is also the non-executive Chairman of OUTsurance and serves as a non-executive director on the boards of two listed entities, RMB Holdings and Rand Merchant Insurance Holdings. He is also on the governing body of the University of Pretoria. 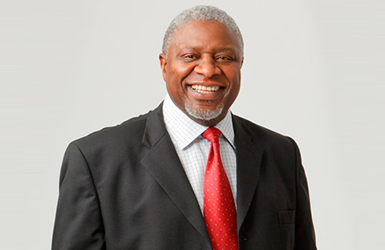 He is the serving Chairman of the Centre for Development and Enterprise, one of South Africa’s best known think tanks. He holds a Masters degree in Accounting from the University of Pretoria and is a qualified chartered accountant. Laurie is married to Estelle and they have three children. Ann Bernstein heads the Centre for Development and Enterprise, South Africa. CDE is regarded by many including the London Financial Times as the country’s leading policy centre for social and economic development. In addition, CDE has a special focus on the role of business and its contribution to development. 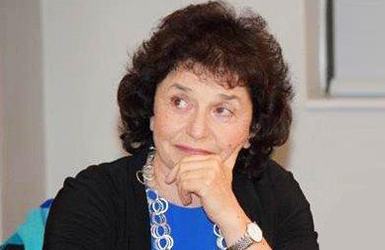 Ann was a member of the Transition Team and then the Board of the Development Bank of Southern Africa (1994 – 2001). In 2005 she was a Fellow at the National Endowment for Democracy, Washington DC. In 2007 she joined the Board of the Brenthurst Foundation. In 2008 and 2009 she was an invited faculty member at the World Economic Forum in Davos and participates in their Global Agenda Council’s Initiative. Her book, The Case for Business in Developing Economies was published by Penguin in 2010. She is a regular public speaker and has been published by newspapers around the country, often appearing on radio and TV. Her many other publications and books include Migration and Refugee Policies (with M. Weiner, London, 1999), Business and Democracy: Cohabitation or Contradiction? (with P.L. Berger, London, 1998), and Policy Making in A New Democracy: South Africa’s Challenges for the 21st century (CDE,1999). Antony Ball obtained a B. Comm and B.Comm (Honours) from the University of Cape Town, and Master of Philosophy (Management Studies) from Oxford University (Rhodes Scholar). He is a qualified Chartered Accountant. Antony completed his articles with Deloitte and founded The Strategy Group, a unit within Deloitte advising clients on Strategy and Organisation. In 1990 he co-founded Capital Partners, South Africa’s first independent private equity firm. In 1998, Capital Partners was merged with the investment banking interests of Capital Alliance Holdings to form Brait. Antony acted as its CEO until he assumed a Non-Executive role in 2011. During this time, he played a key role in the raising, management and organisation of Brait’s private equity funds and led numerous investments covering industrial services, technology, manufacturing, media, agricultural services, chemicals. After relinquishing his executive position at Brait, he expanded his business, philanthropic and personal interests. Antony is the director of the Centre for Development and Enterprise, a leading policy think tank based in Johannesburg. He serves as a senior advisor to J.P. Morgan with respect to their Africa, Middle East and European businesses, and he is a director of Ascension Partners. Furthermore, he is a Non-Executive Director of Altron Limited, PPC Limited and a Chairman of Value Capital Partners. Cas obtained his B. Com from the University College – Durban in 1971. He completed the Housing Finance Course with the Wharton Real Estate Centre at the University of Pennsylvania and the Effective Directors Programme with the Kagiso School of Leadership. He has contributed to numerous articles and publications on housing finance, civil society, local government and the role of civic organisations in governance. Cas became involved in anti-apartheid politics in the early 1980’s. He was the leading force in the establishment of the White Blocks Residents Association in Laudium during 1980’s, South African National Civic Organisation (SANCO) and the Civic Association of Johannesburg, which was the trailblazer in negotiations around the restructuring of local government in the early 1990’s. He is currently the Chairperson of the National Business Initiative and first Deputy Chairman of the African Union for Housing Finance and serves on the Board of the Centre for Development and Enterprise, Nepad Business Foundation and Business Unity South Africa. He is also the First Deputy-President of the International Union for Housing Finance, the President of the International Banking Federation (IBFed) and a Council member of the University of Witwatersrand. 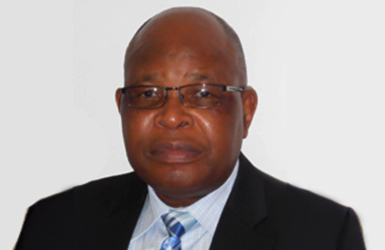 He serves on the Steering Committee of the CEO Initiative and Deputy Chairperson of the SADC Banking Association. Cas is currently the Managing Director of The Banking Association SA (BASA). 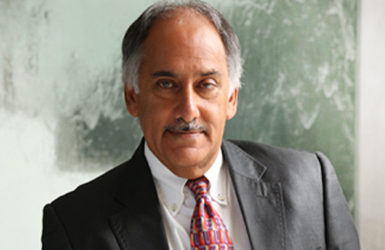 Prof Brian Figaji is the Chairman of WESGRO – a Western Cape Agency that promotes Tourism, Trade and Investment for the Province. At the end of 2004 he retired as the Vice Chancellor of the Peninsula Technikon in Cape Town. He serves on a variety of education-related trusts and NGOs, and he served as South Africa’s representative on the Executive Board at UNESCO (United Nations Education, Scientific and Cultural Organisation). Before joining Peninsula Technikon Prof Figaji spent ten years working as a consulting civil engineer and as a site agent for a large civil engineering construction company. He also taught at a high school in Cape Town for a short while. Prof Figaji is a Fellow of the SA Institute of Civil Engineers, a Fellow of the SA Society for Professional Engineers, a Fellow of the Academy of Engineering and a member of the SA Academy of Science. 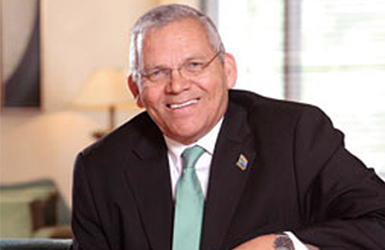 He served two terms as a member of the Council on Higher Education (CHE). Prof Figaji is a graduate of the universities of the Western Cape, Cape Town, UNISA and Harvard. He has also been awarded honorary doctorates from the University of Coventry in the UK and California State University. Michiel le Roux was in the liquor industry for twenty years before he became a banker. He was part of the team that founded Capitec Bank in 2001 and he became the chairman of the bank upon his retirement. He is also chairman of Millennium Trust, a private think tank. He was born in Boksburg, grew up in Klerksdorp and studied at Stellenbosch University. He lives in Stellenbosch. Sipho Maseko was educated at the University of the Witwatersrand (BA, LLB). He has previously worked at Werksmans and the Financial Services Board (Financial Markets). He joined BP in 1997 and held various roles, both in South Africa and London. He then went on to serve as Chief Operating Officer, BP Africa BU and Deputy CEO BP Africa. He is a former CEO of BP Africa. Most recently he served as MD of Vodacom. 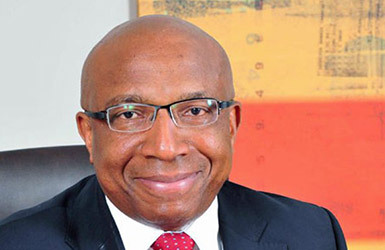 In April 2013 he was appointed CEO of Telkom. Ishmael Mkhabela founded the Interfaith Community Development Association. He was a co-facilitator, organiser and leader of Dinokeng Scenarios Public Engagement Programme. He served as the Chairperson of National Housing Board, Johannesburg Social Housing Company (JOSHCO) and others. He currently is chairperson of the Steve Biko Foundation and the Central Johannesburg Partnership. He serves as Trustee of many organisations, including the Nelson Mandela Children’s Hospital, Finmark Trust, and the Centre for Development and Enterprise. He received SA Council of Churches Award for selfless contribution to the South African Struggle for Democracy. Prof Wiseman Nkuhlu was educated at the Universities of Fort Hare, Cape Town and New York. He was Principal and Vice Chancellor of the University of Transkei from 1987 to 1991. From 1998 to 2002 he was the first Chairman of the Council on Higher Education (CHE). 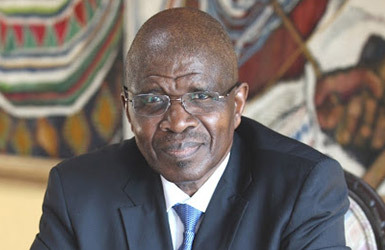 He joined the Independent Development Trust as Chief Executive in 1990 and was Chairman of the Development Bank of Southern Africa (DBSA) from 1993 to 2000. He served as economic advisor to President Thabo Mbeki and as Chief Executive of the Secretariat of the New Partnership for Africa’s Development (NEPAD) from 2000 to 2005. 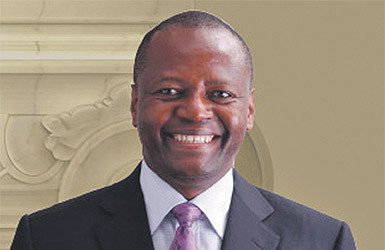 He is currently Chairman of Metropolitan Insurance, Kagiso Trust Investments, Bigen Africa Group and Pan-African Capital, as well as a director of AngloGold Ashanti and Datatec Ltd. Prof Nkuhlu has received honorary doctorates from the Universities of the Free State, Stellenbosch, Cape Town, Pretoria and Nelson Mandela Metropolitan University. 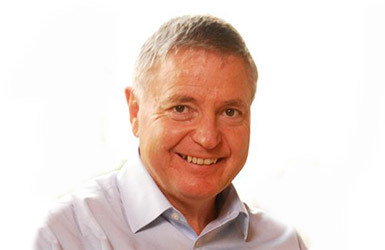 Simon Ridley attended the University of Natal where he obtained a Bachelor of Commerce degree in 1980 and a Higher Diploma in Accounting in 1981. He qualified as a Chartered Accountant in 1982. In 1994 he completed an Advanced Management Programme at Oxford University. He held various finance positions at Momentum Life, United Bank and ABSA before joining Standard Bank in 1999 as Director, Finance and Operations in Standard Corporate and Merchant Bank (now Standard Bank: Corporate and Investment Banking). He was appointed Chief Financial Officer of the Standard Bank Group in 2002 and retired as Group Financial Director of Standard Bank in 2016. 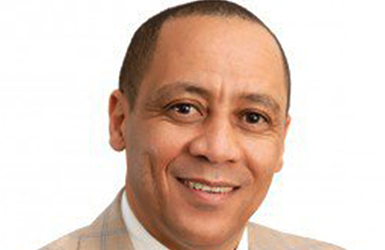 He is currently a non-executive director of several companies and entities affiliated to the Standard Bank group. 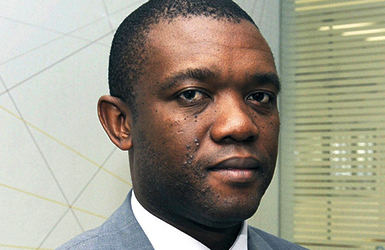 Andile Sangqu was appointed as the executive head for Anglo American in South Africa in 2015. His role includes working with the South Africa-based businesses to help deliver the Group’s strategy in the region, provide leadership and co-ordination to the Group’s stakeholder relations initiatives in South Africa, and facilitate regional alignment with the Group’s central functions. Prior to his role at Impala Platinum, Andile was executive director for Glencore Xstrata South Africa, served on the Chamber of Mines’ National Development Plan Committee and held executive and non-executive roles at Kagiso Trust Investments. Andile currently serves as a director of Business Leadership SA, Deputy Chairman of NEPAD Business Foundation and he is the Vice President of the Minerals Council South Africa. Mike Teke holds a BA(Ed) and B.Ed ( University of the North), BA(Hons) (RAU), and an MBA (Unisa). He started working as a school teacher. He has served in various HR roles at Unilever, Bayer, BHP Billiton and Impala Platinum until 2007. In 2008, Mike left Impala to be one of the founding members of Optimum Coal and was appointed CEO of Optimum Coal. Mike was part of the listing Optimum Coal on the JSE in March 2010. In September 2012, Mike resigned as CEO of Optimum Coal and became Non-Executive Chairman until April 2015. Mike was appointed Vice President of the Chamber of Mines in 2011 and in 2013 was appointed President of the Chamber of Mines until 2017. Mike was appointed Chairman of the Richard Bay Coal Terminal in 2012 and in 2016 stepped down to become Non-Executive Director of the Board and Chairman of the Remuneration Committee. Mike is the Non-Executive Chairman of Rolfes, a JSE Listed Company, Non-Executive Chairman of Anchor Group, a JSE Altx listed Company, Non-Executive Chairman of Tellumat, and the founding and controlling shareholder of Dedicoal, a service-based mining and beneficiation vehicle, active in the South African mining sector. Mike is the Executive Chairman and controlling shareholder of Masimong Group, a diversified investment company, and the CEO of Seriti Resources. Reuel Khoza is currently Chairman of Dzana Investments (Pty) Ltd and AKA Capital (Pty) Ltd, and he is a director of several companies. He is a former Chairman of Nedbank Group Limited and Globeleq. He has chaired the boards of corporations such as Eskom Holdings and GlaxoSmithKline South Africa, and served as a director of JSE Limited, IBM South Africa, Liberty Life Group, Standard Bank Group, Nampak Limited and Old Mutual plc. Reuel has been involved in the formulation of the King Codes on Corporate Governance in King II, King III and King IV, serving as Mervyn King’s deputy in the last two instances. 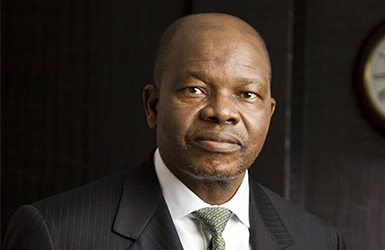 Reuel Khoza’s qualifications include a BA Hons in Psychology (University of Limpopo), and MA in Marketing (University of Lancaster, UK), EngD in Business Leadership, (Warwick University UK), an LLD honoris causa (Rhodes University), a D Econ honoris causa (University of Free State) and is a Chartered Director (CD SA). He is Emeritus Professor Extraordinaire of the University of Stellenbosch Business School and current Visiting Professor at Rhodes Business School, the University of Free State Business School; and Wits Business School, as well as Chancellor of the University of Limpopo. He is an author, whose books include Attuned Leadership, Let Africa Lead, The African in my Dream and The Power of Governance (with Mohamed Adam). Reuel also farms, packs and exports avocados, pears as well as writes lyrics and produces music as a labour of love. Reuel is a distinguished thought leader, businessman, President of the Institute of Directors in Southern Africa (IoDSA), Africanist, public speaker and change agent at the forefront of transformation in the South African political economy. He has been hailed as a role model in respect of the duties and responsibilities that a citizen can and should take on in the public and national interest. Before joining Barclays Africa Group as Head of Communications, Songezo Zibi was the editor of the Business Day newspaper. He has 14 years of experience in corporate communications at multinational companies such as Volkswagen South Africa and Xstrata South Africa. Politics, society and the economy are the core of areas that Songezo writes extensively on. In January 2014 he authored his first book Raising the Bar: Hope and Renewal in South Africa, which provides an unencumbered analysis of the topics such as race, leadership, politics, government, violence, the position of women, as well as the “taboos that haunt us”. He spent his tertiary years at the Nelson Mandela Metropolitan University. He joined the Centre for Development and Enterprise Board in 2016. Sipho Nkosi is the chairman of Talent 10 Holdings, he founded Eyesizwe Holdings and served as CEO before its merger into Exxaro in 2006. With 20 years’ experience in the mining and industrial sectors, he sits on a number of boards. Sipho holds a Bachelor of Commerce degree from the University of Zululand, an Honours degree in Commerce (Economics) from the University of South Africa and a Master of Business Administration from the University of Massachusetts in the United States. Sipho joined the CDE board in 2017.